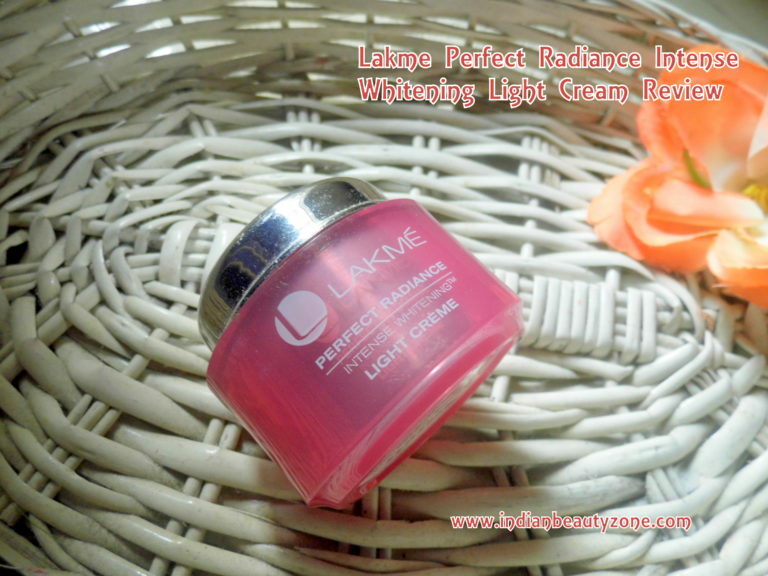 The new Lakme Perfect Radiance Intense Whitening Light Cream is so ultralight that is simply disappears into the skin, leaving skin softer, smoother and luminous. Bio hydrators that replenish the skin moisture. Luminizing vitamins that lighten complex from within. Boosts skin's moisture while increasing its luminosity, giving you salon fair look everyday. Aqua, Palmitic acid and stearic acid, niacinamde, Isopropyl Myristate, Glyceryl stearate, mineral oil, Octyl methoxycinnamate, Glycerin, triethanolamine, Cetyl alcohol, dimethicone, perfume, carborner, butyl methoxydibenzoylmethene, sodium PCA, glutamic acid, titanium dioxide and aluminium hydroxide and stearic acid, allontoin, tocopheryl acetate, sodium hydroxide, disodium EDTA, sodium ascorbyl phosphate, pyridoxine hydrochloride, phenoxyethonal, methyl paraben, prophyl paraben, CI 14700. It comes in a reddish pink colour plastic tub with a silver colour lid and have a white plastic separator lid from lid to tub inside to prevent the mess. 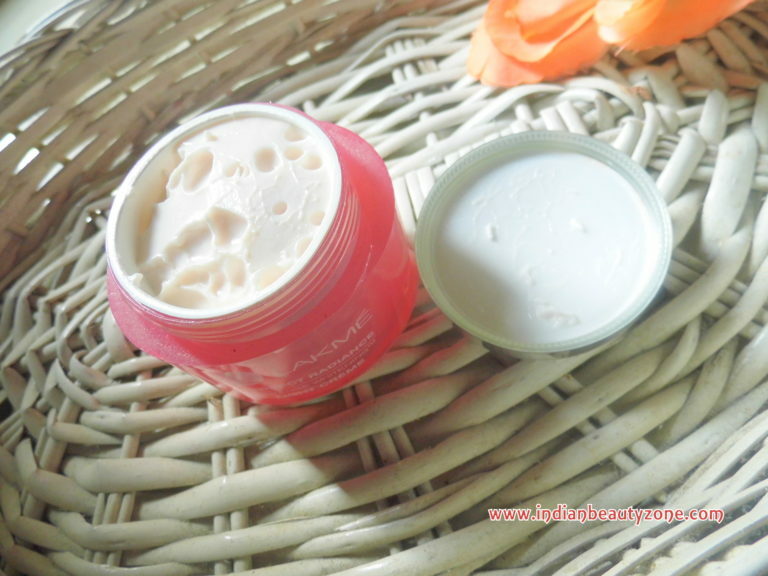 It is travel friendly but cannot tell it is user friendly since it comes in a tub. 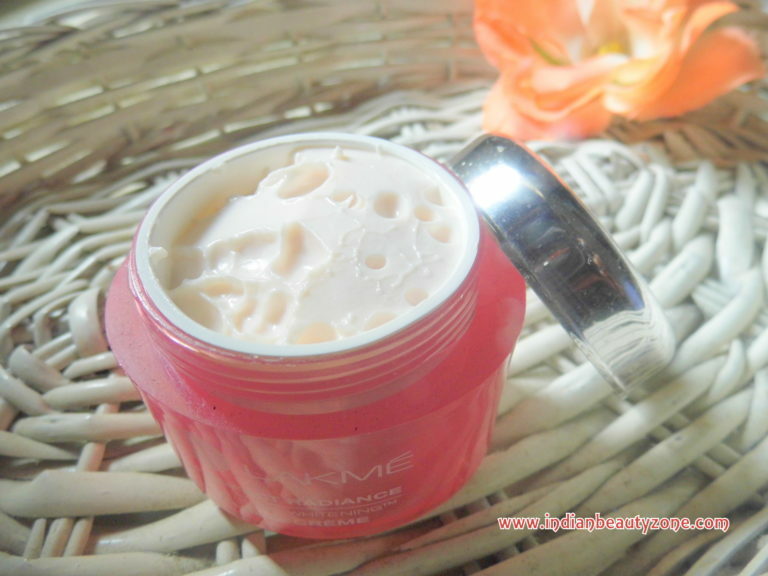 The texture is absolutely light weight and easily gets absorbed. 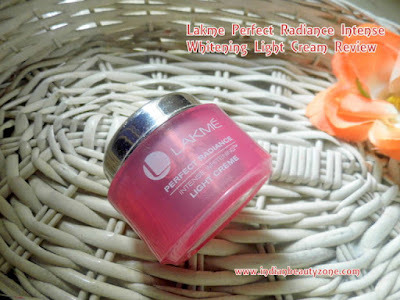 It is a pale pink colour cream and smells very pleasant (the default Lakme products smell). I am using product as my regular day cream, hence I am going out to office earlier before Sun gets busy and returning after Sun gets relaxed, in between I stay inside an air conditioned atmosphere. So, I don't need any strong SPF products regularly, that's why I didn't care about that this product has no SPF. 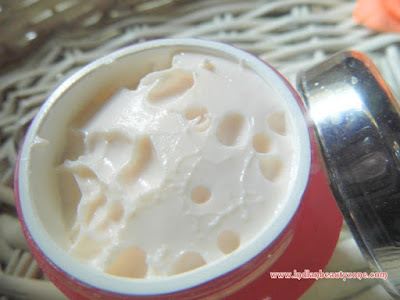 I use this cream twice a day and it gets absorbed inside the skin easily. I have normal to combination skin and this cream makes skin bright instantly without any extra shine, after few hours it gives a subtle glow that too if I forget to wear my compact powder. If I wear my compact powder the matte effect stays up to noon. It hydrates enough for my normal skin, but I am not sure about dry skin girls, they might need extra hydration. The whitening effect of this cream is temporary only. Once the cream's effect goes the brightness also gets reduced. It has no power of whitening your face miraculously, all I consider this cream for my matte effect and it gives fresh glowy face when applied which I liked most from it. It gives enough moisture to my normal skin so i don't need any extra moisture apart from this cream, so far it didn't give any redness or allergy to my skin and no breakouts too. It gives a temporary solution for my dull skin. Overall it is a decent day cream skin for normal to combination skin and yeah oily skin girls will also love it. It comes for long time and to consider it, it is affordable. It gives immediate brightness to the skin. Light weight texture and gets absorbed easily. Keeps the face matte and fresh for long time. I wish it comes in tube to use easily. The Long list of chemicals. Temporary effects and no whitening at all. 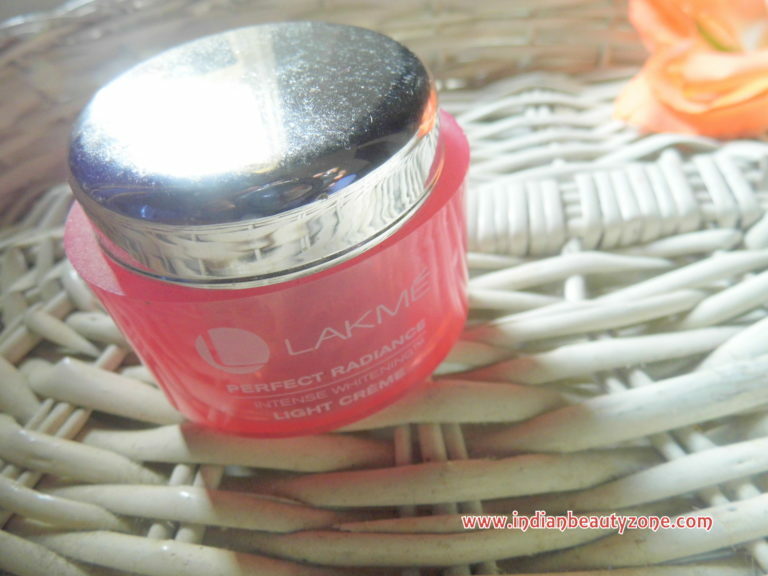 Lakme Perfect Radiance Intense Whitening Light Cream is a decent day cream those who don't care about SPF factor for their regular use. It brightens skin temporarily which helps you to keep your skin fresh and oil free. It hydrates well also. It is not suitable for dry skin.